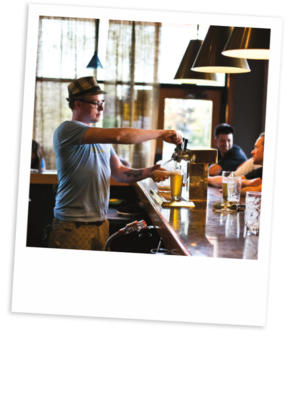 As a brewpub that first opened in 2010, Breakside Brewery in Portland, OR is a local favorite, Soon after opening, Breakside quickly gained recognition for creating incredibly imaginative, experimental, and fla-vorful brews. A few years later, we outgrew our current space in NE Portland and introduced our brand to Milwaukie, OR by setting up a new brewery there. Today, as one of the leading Portland area breweries, our locations contain 30,60, and 210bbl tanks, barrel rooms for wild and non-wild/sour fermentations, a high-speed bottling line, and 24-tap tasting room. Earning Brewery of the Year at the 2017 Oregon Beer Awards, Breakside Brewery in Portland, OR has long beedn recognized for its unique beers that have earned various other accolades including gold, silver and bronze medals at the 2017 Best of Craft Beer Awards. As one of the top rated Portland area breweries, Breakside deiced to open its third location in March 2017 in the Slabtown district of Northwest Portland. With three locations throughout the Portland area, each one has its own distinct atmosphere. Come visit the one nearest you for the ideal culinary and craft brew experience.